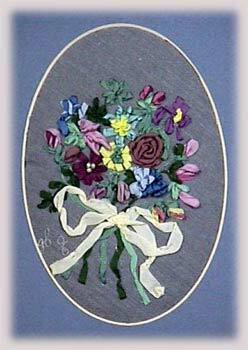 Silk Ribbon embroidery on the sewing machine is durable and economical. There is practically no waste of the ribbon. 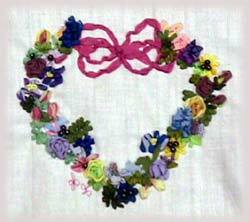 You can make a rosebud with just one-inch of ribbon! 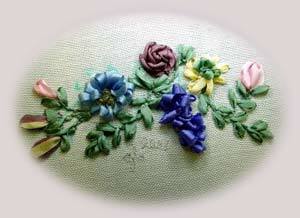 The beads are sewn on with the sewing machine as well. Beading on the sewing machine is fast and firm. All of the following examples have been washed many times and the wearers are still enjoying them. 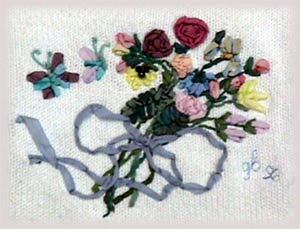 Japanese Ribbon Stitch can be duplicated on the sewing machine. I use a firm wire that is a tie flying tool. 1. Remove the work from the machine (still in the hoop) 2. Push the wire tool up from the back through the fabric and the ribbon. 3. Thread the ribbon tail through the wire and bring to the back of the work laying the ribbon back in the direction of the bow streamer. 4. Make tiny machine stitches in the crevice of the curl of the ribbon to secure. Trim the excess ribbon from the back of the work. 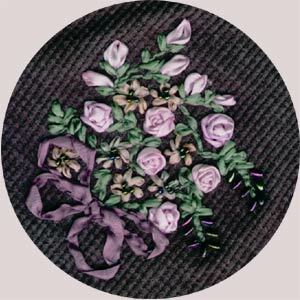 Using two colors of the silk ribbon to give a more natural look to the rosebuds. 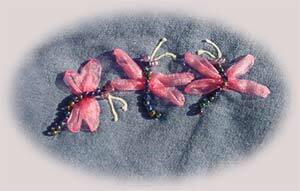 Dragonfly bodies are individual beads, which are sewn in place with the sewing machine. 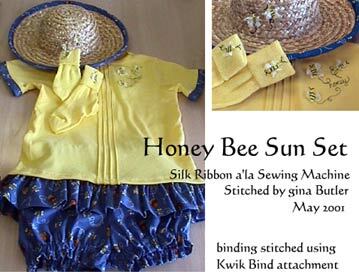 The wings are silk organza ribbon. 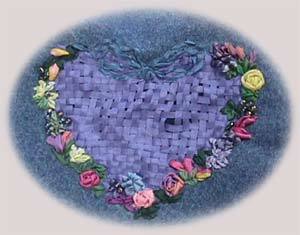 Woven heart is done at the sewing machine in the method of Richelou beading. 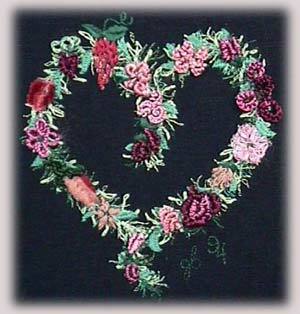 Watch for an upcoming lesson on this! 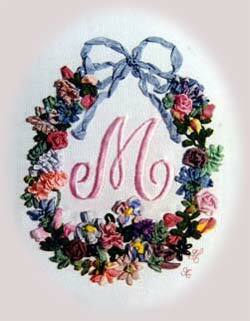 Silk Ribbon Kit Coming Soon!